An outstanding converted former granary located in the picturesque coastal location of Burghead in Morayshire, is now for sale through the Elgin office of CKD Galbraith. 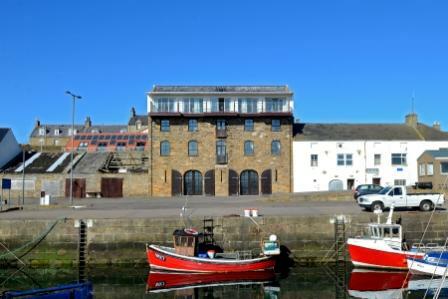 Dating back to 1881, Torfness House was originally built for use as a grain store and latterly as a ship's chandlery before being sympathetically converted into a private house in the early 1990s. Now, the house offers spacious and flexible accommodation over four storeys with potential to develop the building further, possibly into apartments with the correct consents. Situated in a wonderful waterside spot, the design and location of Torfness makes full use of the superb views across the harbour, Burghead Bay and Moray Firth. The property also boasts many original features including exposed beams and ironmongery, stone plinths and has been fitted with custom-made mahogany doors and window frames. Accessed from Granary Street, the ground floor of Torfness House has a large open plan kitchen/dining/sitting room with several large windows which gives the room and light and airy atmosphere. The room also benefits from a French door onto a small balcony which overlooks the harbour. From the main hall there is access to a utility room, a cloakroom with WC and a vestibule. The impressive drawing room on the first floor also has dual aspect windows, exposed beams and ironwork, as well as another small balcony. The three bedrooms, two of which have en-suite facilities, are located on the second floor along with a separate shower room. The master bedroom with spacious en-suite bathroom is particularly striking with an exposed stone gable and French doors which open onto the balcony. A lovely sun room is also on the second floor which provides access to the balcony which runs along the full length of the western side of the house, with each bedroom also having access to the balcony. 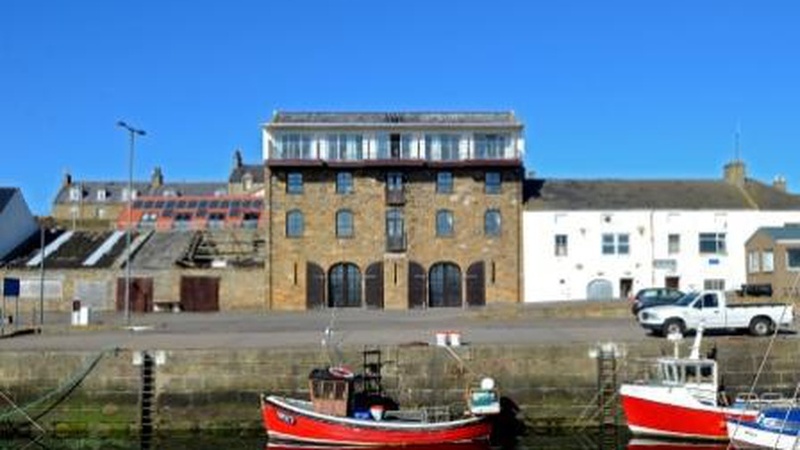 The lower ground floor, where vehicular access is taken from the harbour side of the house, provides off-street parking and the opportunity to use the space as a studio, games room or storage facility. The internal doors are protected with mahogany storm doors. Rod Christie, partner at CKD Galbraith who is handling the sale, said: "Torfness House is a truly unique property packed with period features and with stunning views towards the harbour and beyond Moray Firth. It is bright and spacious throughout and we are expecting significant interest from a wide range of buyers and from across Scotland, the UK and overseas." Torfness House is for sale at offers over 325,000 through the Elgin office.